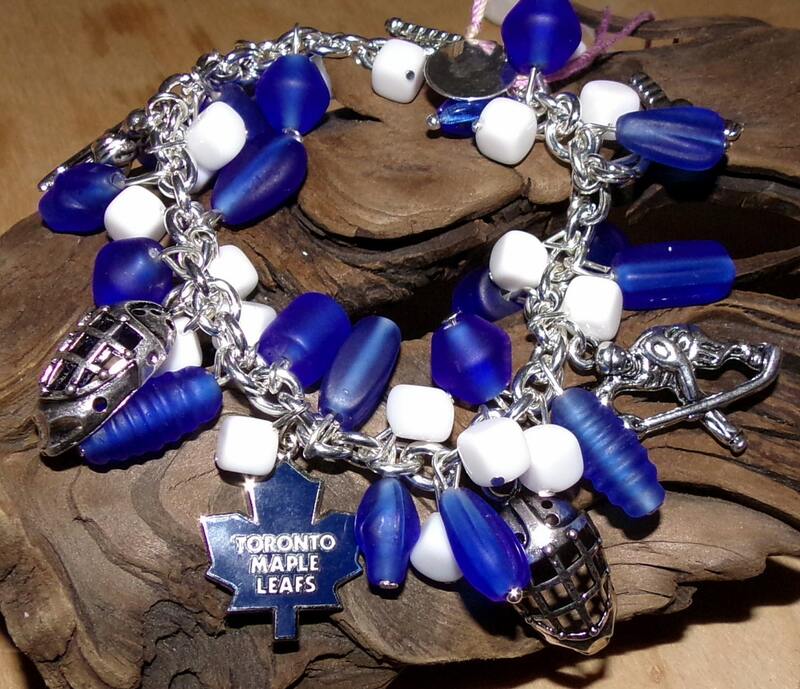 This bracelet is the perfect gift for a Maple Leafs fan. 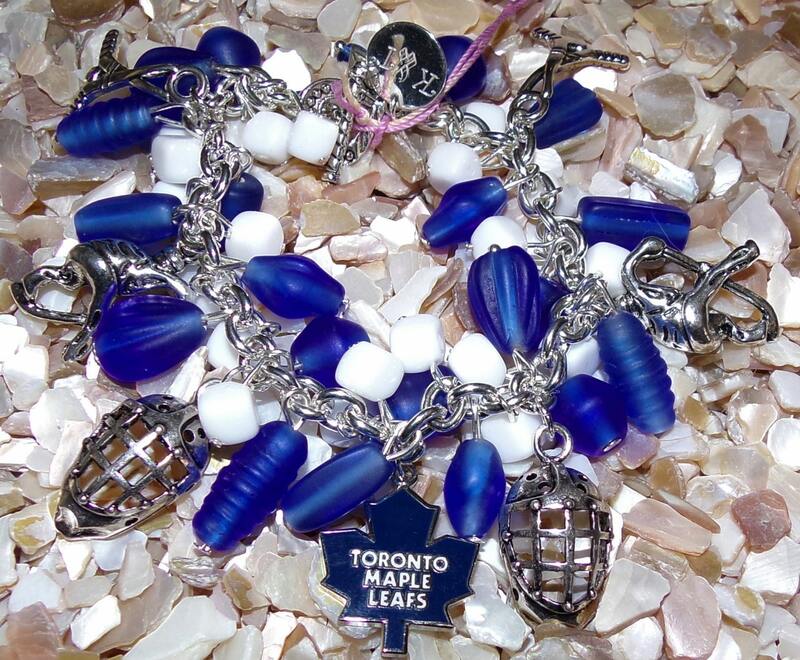 This bracelet is made with blue & white beads with hockey charms. 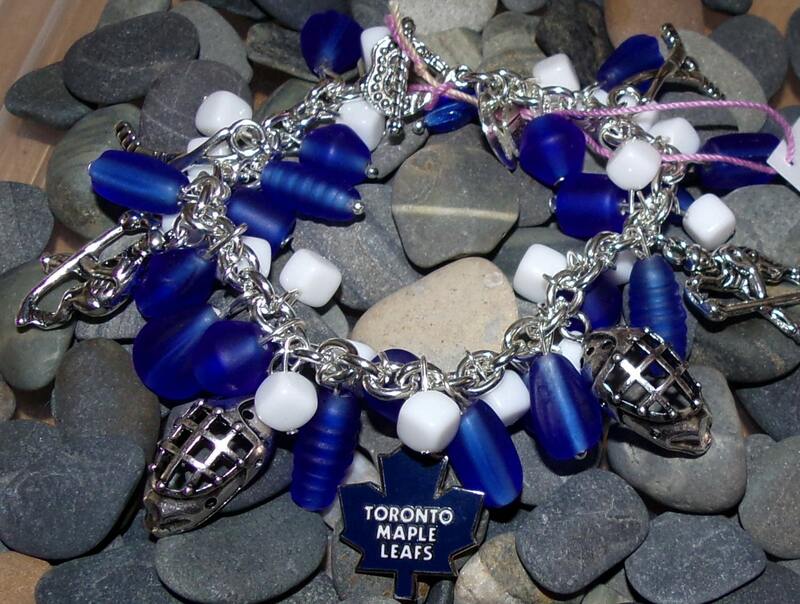 Message me if you would like me to send you a picture of the one that is made for you.